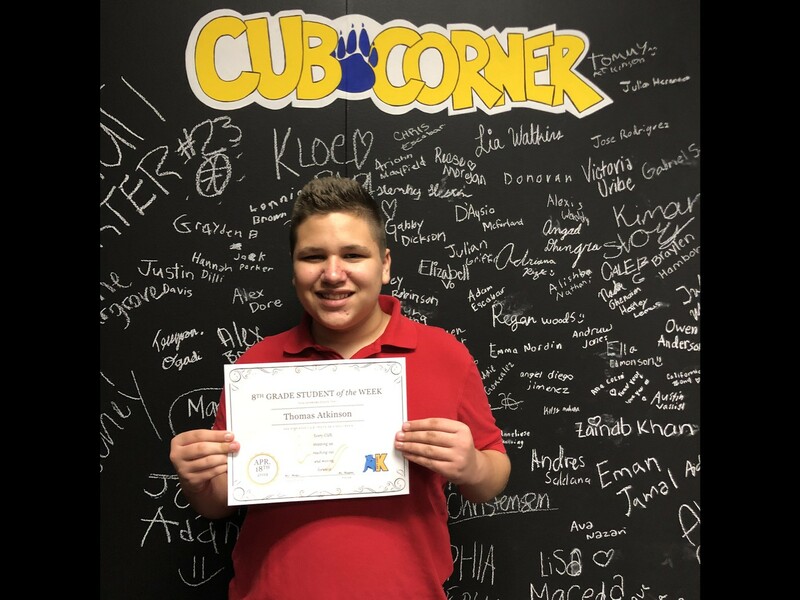 "Every CUB stepping up, reaching out, moving forward!" Hey Bearcub family! Welcome to a short week with a four day break on the horizon! I hope you have plans to really decompress and spend some quality time with family and friends...so that we can come back rested and recharged for the big push to the end of the school year. And while we are looking forward to a well deserved break, let's also reflect on the great things that happened last week. 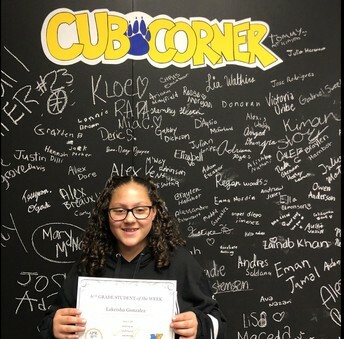 This week's first kudos goes out to all of our awesome Bearcubs and staff members for a job well done during testing last week. From adjusted schedules & testing to virtual assignments & supporting one another in the classroom, our Bearcubs did a great job! 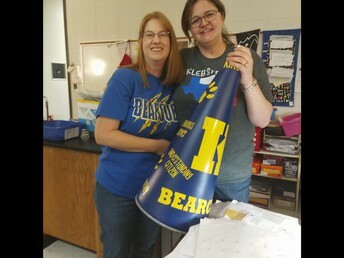 A special thanks Mrs. Collier, Mrs. Sharp, and Mrs. Schofield for helping to prepare our students for testing and to Mr. Raleigh for the many, many hours you spent working to ensure that everything went smoothly! Great job everyone! 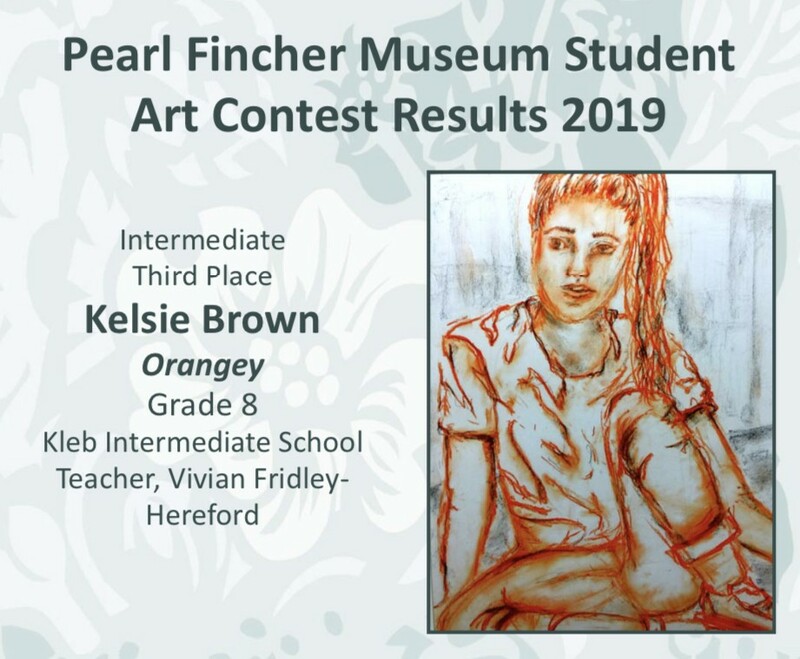 My second kudos goes to Kelsie Brown, who recently placed third in the Pearl Fincher Museum art contest for her piece titled Orangey. Congratulations Kelsie we are so proud of you! 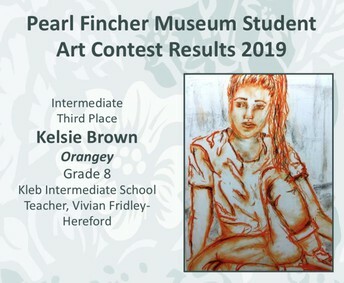 All winning artwork will be on display April 10 – May 4, 2019 at the Museum of Fine Arts. This student is always optimistic. She is self disciplined and always helpful to not only the teacher but also her peers. She is selfless, always ready to learn something new, and recognizes her mistakes and learns from them. 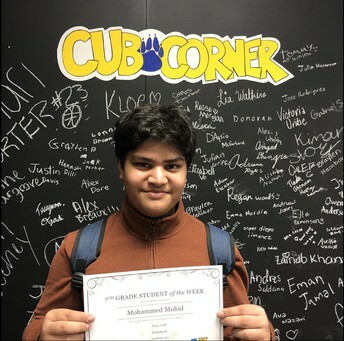 Mohammed is a forever learner because he embraces challenges and has a desire to learn and grow each day. He never shies away from a challenge and has no fear of failing forward. 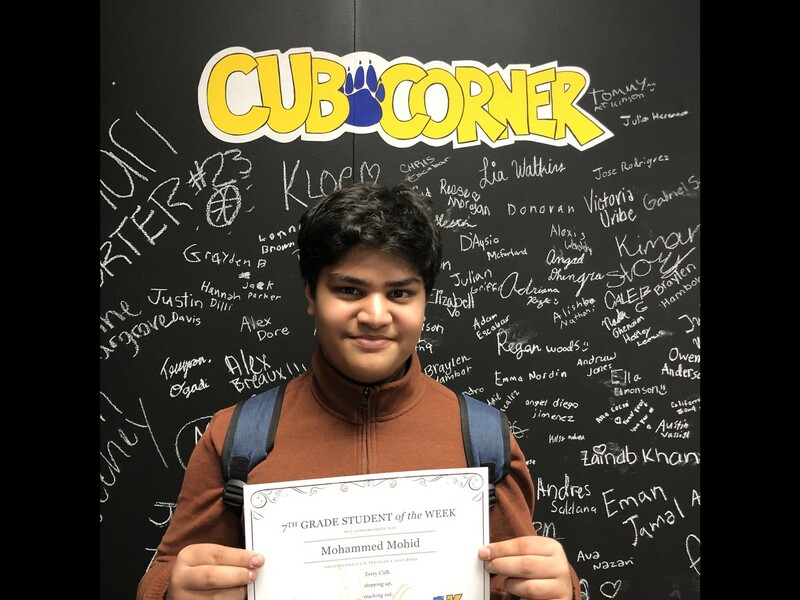 Mohammed is always stepping up and reaching forward. 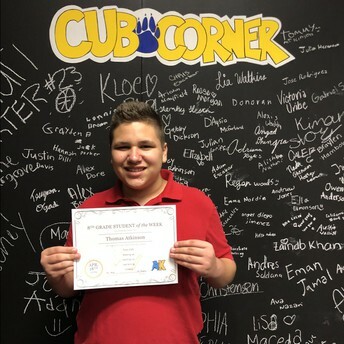 Tommy is a hard working student that takes pride in his work and is always doing his very best. He has a goal-oriented mindset and is self-disciplined in all of his academic endeavors. He is a model student who is kind, respectful, and a joy to have in class! Help send DI to Globals! Parents, help send our DI team to globals and feed your Bearcub at the same time (and staff, you can order, too!). 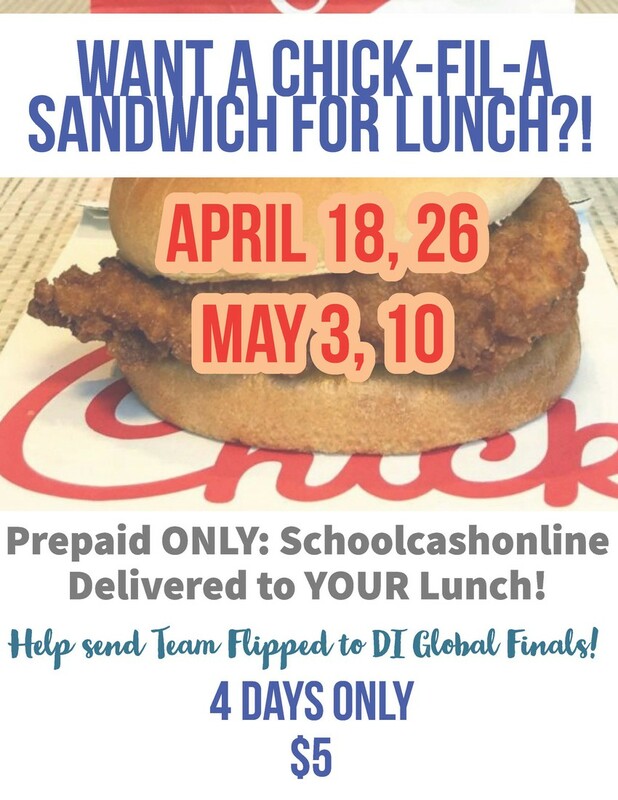 Simply log into school cash online (click here) and purchase as many sandwiches as you would like for any (or all) of the designated days. Thanks for your support! 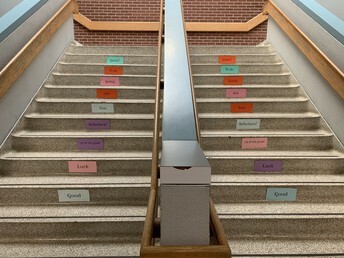 Ms. Blanchard is student focused and always looking for new ways to engage her students in the learning. She is not afraid to try new things, and she works to make the learning fun! 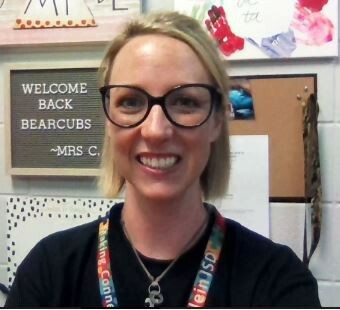 She is kind and has a great rapport with students and staff. She is a great leader, offering helpful suggestions, but willing to listen to others’ ideas. I love collaborating with her to create meaningful learning experiences for students! 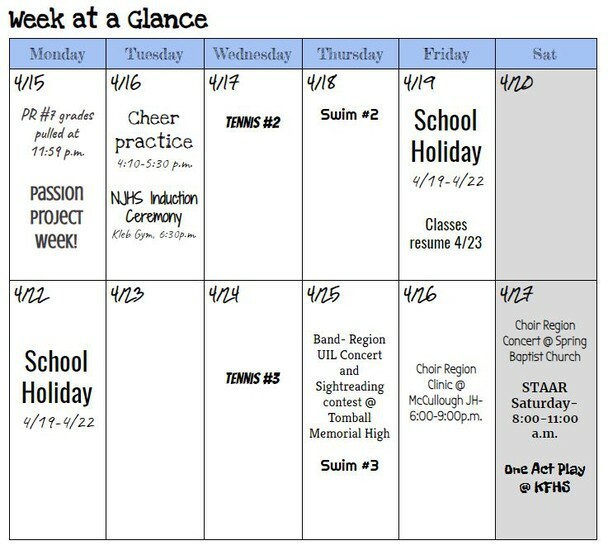 All staff, don't forget that a four day weekend is coming up! While the 19th is a school holiday, don't forget that Monday, April 22nd is our second exchange day of the year. If you haven't already, please make sure that you turn in all of your exchange day hours (or non-duty/comp time for non teaching staff) to Amanda Hodge at the beginning of this week (so that you don't end up at the district training needlessly). Ms. Hodge will be in contact with anyone who does not have their hours documented...so this is one of those times where no news is good news! 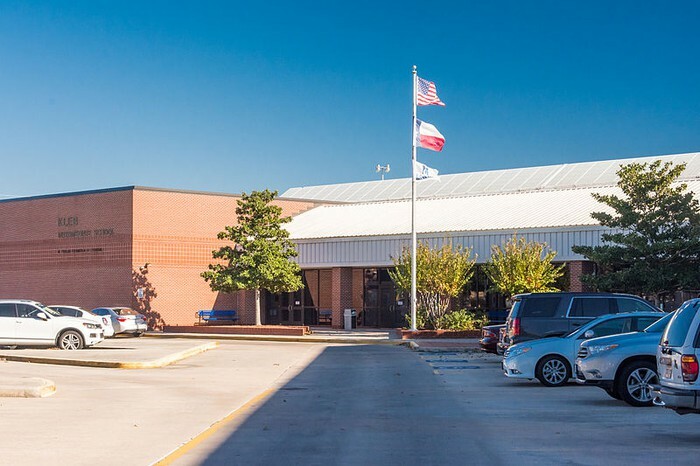 Also, an end-of year tentative save the date: our chromebook pickup day this year will most likely be on Tuesday, May 28th (the Tuesday after Memorial Day), so plan on your Bearcubs having their chromebooks until the last week of school. For those of you who are returning staff, the pickup will be a little different this year and we will have an altered bell schedule. More info later this year! 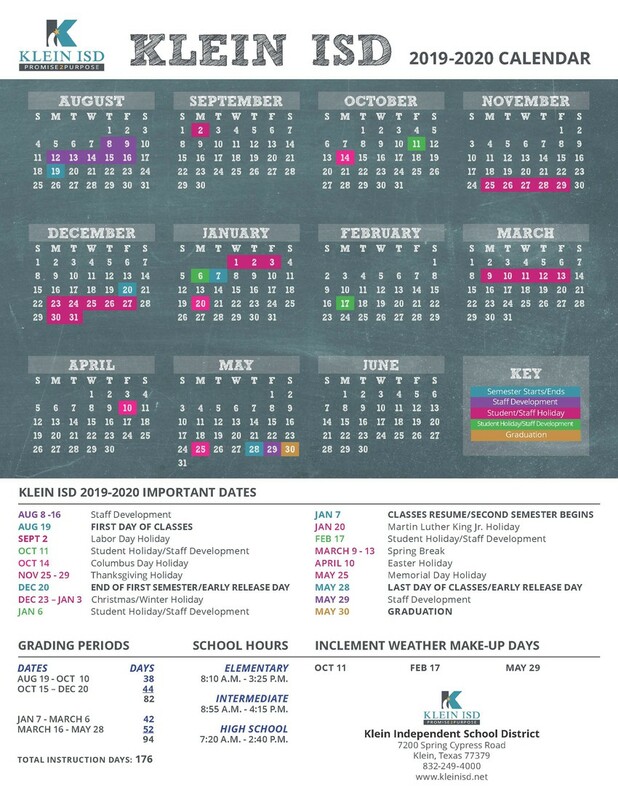 Finally, the end of the year is soon approaching...so here is our continued list of some of the notable dates between now and the last day of school! Monday, May 6 to Friday, May 10-Teacher Appreciation Week! Friday, May 31--Staff breakfast and checkout day! 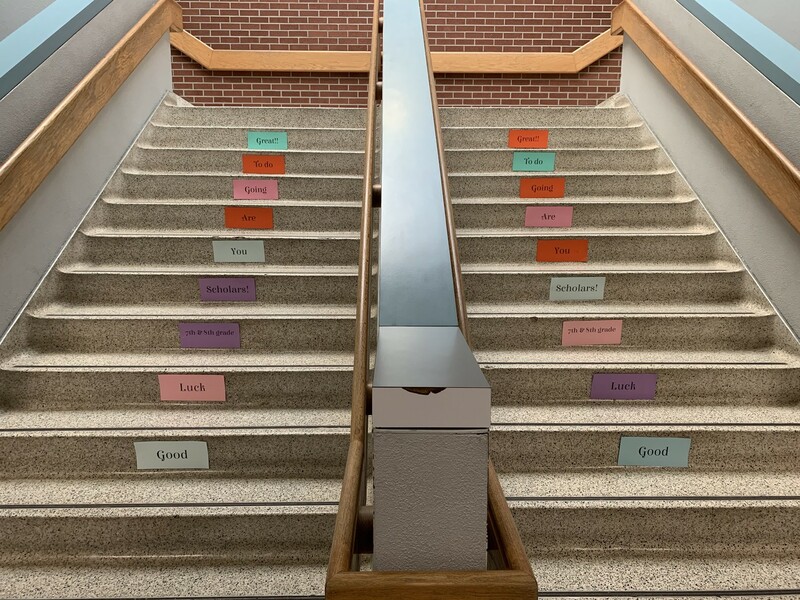 If you have a little time or a skill to offer, please consider putting your name in the hat so we can create a strong, well-balanced group that represents our WHOLE school. Don’t forget to pass the interest/nomination form on to anyone who will be coming up from elementary school too. We would also like to have a contact in each of the clubs and organizations here to make sure we are as connected as possible to the needs and activities of our kiddos. Thank you for continuing to support Kleb PTO! How many years have you been in education? What is one thing that you wish everyone knew about you that they probably don't? I can be a huge introvert and enjoy time by myself. I also like to people watch and be on the outside of conversations/discussions/activities. If you could switch places with any one person for a day, who would it be, and why? My son - I would love to see the world through his eyes and from his perspective. What are three things that are on your bucket list? Travel the world, see my son graduate college, and learn how to bake as well as my mom! Did you know you can now report an absence in Skyward? Click HERE for more information. ***If a student is absent for part of the day for a doctor appointment, their absence will be coded as Section 25 (temporary absence) if the student follows the following procedure: The student must return the doctor excuse to the Attendance Office immediately upon returning to school to receive the Section 25 coding for their absence. If a student does not produce one of the items listed above within the allotted timeframe, that absence will be considered unexcused and counted toward their total semester absences. 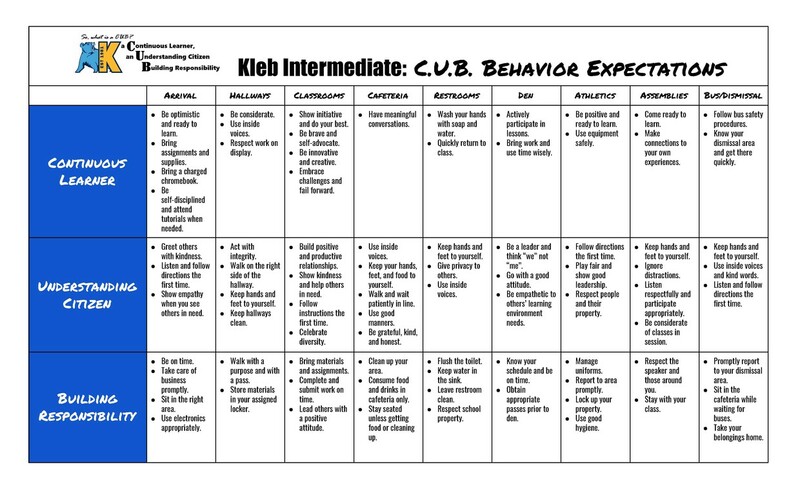 Klein ISD takes attendance very seriously, and we want to see your child succeed at Kleb. If you have any questions regarding attendance, please feel free to contact the attendance office or your assistant principal. Additional attendance information can be found starting on page 27 of the handbook. 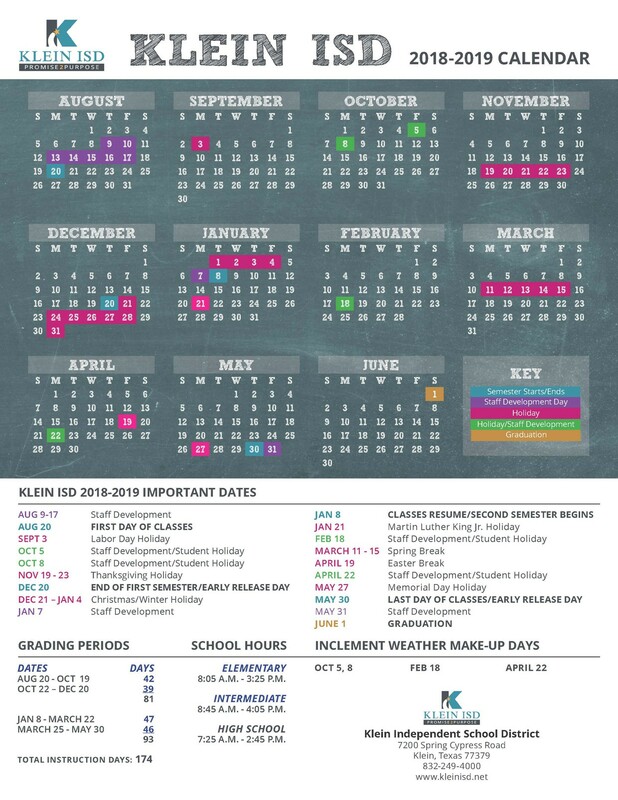 Sneak Preview--Next Year's School Calendar! Have a great week, Bearcubs! 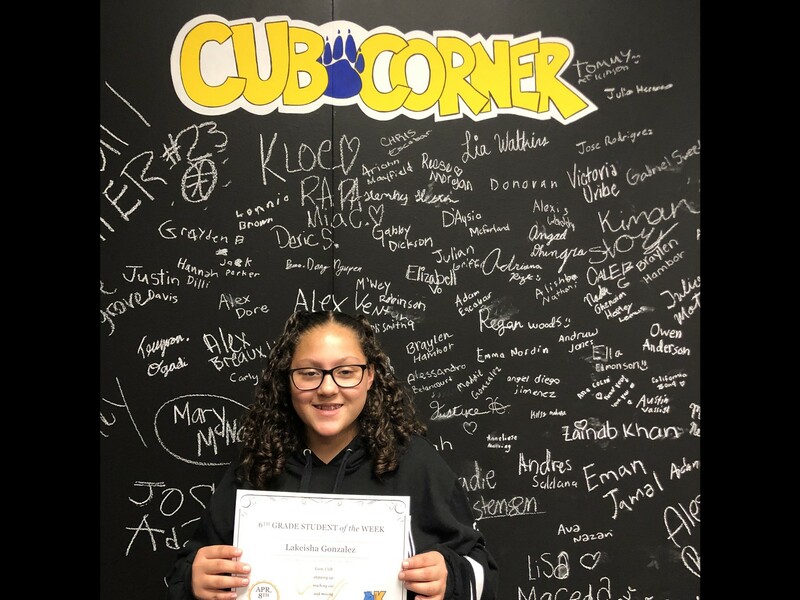 Every CUB stepping up, reaching out, moving forward!